Just can’t get enough of vector graphics? Then rejoice as we give you another amazing freebie which can be very useful in your next design projects. 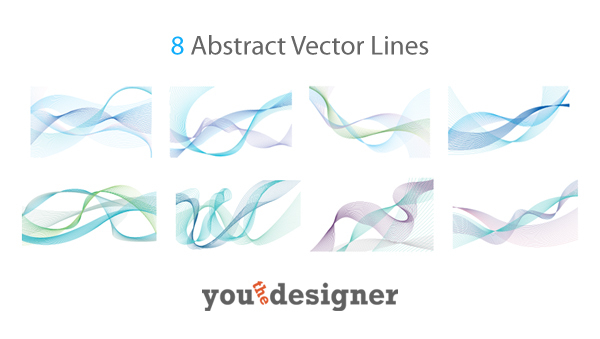 Today’s set of vector art features a stunning collection of eight abstract lines perfect in adding that abstract feel you are looking for in your designs. Each piece was created and compiled by one of our amazing friends from the design community – Niño Batitis. Check out his portfolio for more graphic awesomeness! Download this stunning set of graphics. Click the button below and unlock the awesomeness! [/sociallocker]Tell us something about what possible projects will you use this set of vectors or suggest other freebies you would like to see on our next post by commenting below.